There are lots of scientific studies aiming at knowing if chocolate offers proven positive effects within the organism of praline, caraque or truffle lovers. 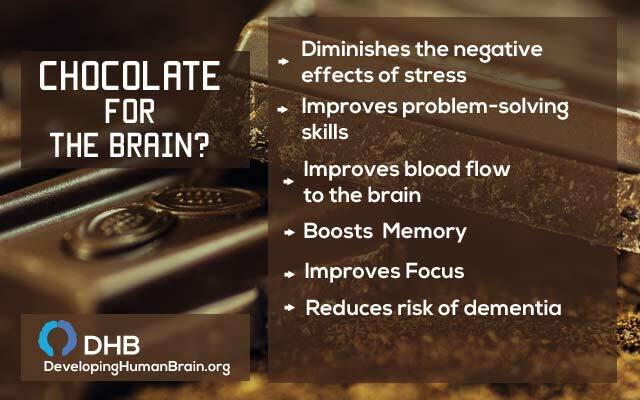 If theories say that enjoying a piece of chocolate once a week enables us to fight cardiovascular diseases and cerebrovascular accident risks, another theory now connects chocolate to intellectual capacities. We owe this study to several research teams’ work from Maine University, University of South Australia, and Luxembourg Institute of Health. It falls in line with a study piloted since the 70s, the Maine-Syracuse Longitudinal Study. It initially focused on the relationship between blood pressure and brain performances. Between 2001 and 2006, a list of questions about eating patterns has been added to the 7 waves of surveys that were sent out, in order to ask the panel representing 1,000 persons, of all ages. Within eating patterns, chocolate consumption was brought forward. When it comes to cognitive tests, there were 6 themes: numbering, abstract thinking, (visuospatial, working and verbal) memory, and a “mini mental” test. Results show that people who get higher scores in the different tests are those who consume chocolate at least once a week. To be more precise, these scores represent 5 tests out of 6 - verbal memory is the only capacity that shows no apparent correlation with chocolate consumption. Concretely, in our everyday lives, chocolate is said to strengthen our ability to remember a shopping list, or even a phone number, and even solidify our capacity to handle several tasks at the same time. How? It is possible thanks to flavonoids, which we can find in high amount in cocoa beans. With natural compounds that can be found in plants, flavonoids help repair their injuries and make sure they are protected against danger represented by diseases and parasites. Their presence in our food is said to have a positive impact on some chronic pathologies, and on our cardio-cerebra-circulatory system. They are also said to be excellent memory aid, since they play an active role of vasodilator, which seems to improve blood flow and is good for irrigating the brain and making it work. 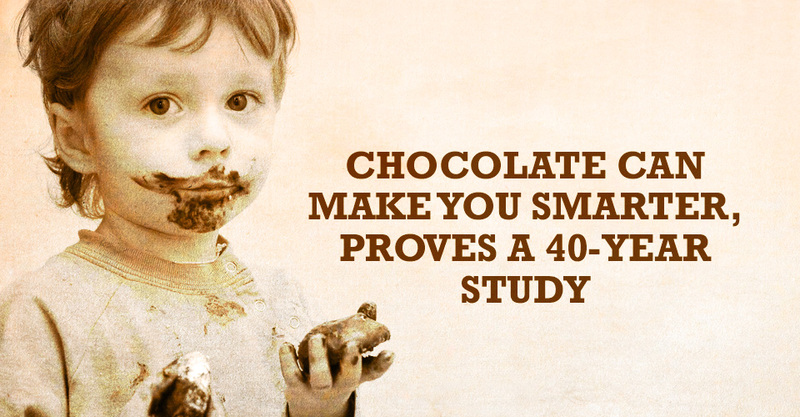 This study doesn’t tell us everything (yet): which category of chocolates should we prioritize? Dark, white or milk chocolate? Indeed, flavonoids concentration is not the same depending on the type of chocolate you are eating. 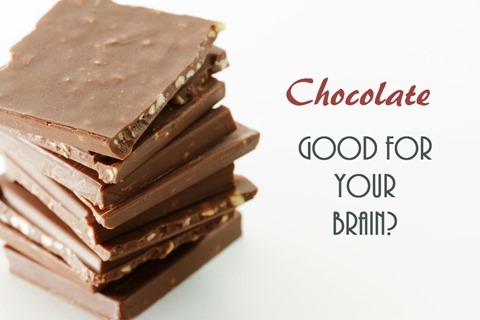 However, if flavonoids really are the elements having an impact on our cognitive capacities, you should prefer enjoying a few dark chocolate pieces, which has the highest cocoa level.